The Scheduled Tribe (ST) is one social group in India that faces the most difficult challenges in schooling. Though there are efforts being made to address some of these, like providing education in their native languages in the primary grades (I-III), there are many other challenges that keep emerging. The absence of a necessary number of teachers among them; the requirement that mathematics and other subjects be taught in the mainstream language, and; the imposition of the mainstream language in higher grades are some of the serious hurdles in the education of the tribal children. The residential schools managed and run by teachers from other communities – an approach used widely – alienate students from their culture and communities giving rise to the apprehension that these students may become `rootless’ individuals. In this context, we compare the education of STs in India with some key features of the education of the indigenous groups in Brazil. 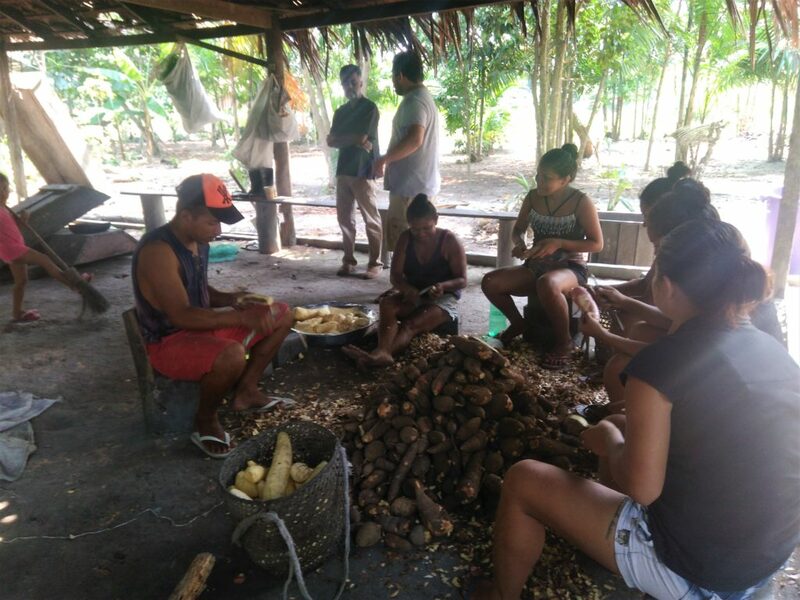 The indigenous people constitute only 0.4% of the Brazilian population and though they were subjected to decimation and severe exploitation in the past, there are important developments in their schooling during the last two decades. It is notable that indigenous people are almost in full control of their elementary education (from grades I to IX). Nearly 90% of the teachers working in their schools are from the same social group. This was achieved through political and social mobilisation of the indigenous people along with other marginalised social groups, and subsequent changes in educational policies. The purpose of this article is to draw lessons from this experience of Brazil for the education of the STs in India. There is almost a 14%-point gap between the literacy rates of the STs and the rest (2011 census) of the population. Nearly 50% of the children from this social group drop out while transitioning from primary to secondary grades (based on the educational status recorded in the same census). Nearly 80% of them stop education when they are in grade X in other words, only 20% appear for the high-school examination. Addressing the educational gap between the STs and the mainstream society is important for improving human development indicators of the country. The fact that the mainstream schooling is provided in a language different from that which the tribal groups use was found to be an important barrier in the education of their children (Mohanty, 2000). In 2007, the state of Odisha started mother-tongue-based, multi-lingual education for children from the ST groups in grades I to V. The mother tongue (MT) of the children is the medium of instruction from grades I to III, after which, the MT becomes one of the languages in the higher grades. The official language of the state of Odisha – Odia, is studied as a language in grades II and III and becomes the medium of instruction after grade III. English is also taught as a subject from grade III. This program is currently on in 21 tribal languages. A number of formal evaluations of this method of teaching have been conducted (Panda & Mohanty, 2009) and these indicate a positive outcome. The teaching of tribal languages and their use as a medium of instruction in grades I to III seem to have reduced the fear of schooling among the children and have enhanced their attendance, participation and learning achievements. However, there are a number of other obstacles. The foremost being the shortage of teachers who know both languages – native and mainstream – in which the schooling has to be carried out. Secondly, not many from these communities are trained to be teachers. So, although more than half of the language instructors or teacher assistants are hired from the tribal community, they do not have the educational background and training to be full-time teachers who can teach all the subjects. Hence, the schools have to depend on people from other social groups to teach subjects such as maths. Also, the transition of students to higher grades (grade V onwards), in which the medium of instruction changes, is difficult. These issues are documented by the Government of Odisha1. We carried out a short-period, field-work in some selected schools in the Gajapati district of the state. Here the local tribal language, ‘Soura’ (L1) is used as the medium of instruction in the primary grades – I to III. This tribal language is very different from Odia and for practical reasons, students have to learn Odia (L2), English (L3) and Hindi (L4) in addition to the other subjects. It is noted that when L2 and other subjects are taught by teachers who have no knowledge of L1 (MT), it affects the learning of students. Around 21 tribal languages are taken up for the mother-tongue-based education of tribal students in Odisha (they wish to add more). Each of these languages may be spoken by a few lakh people. However, the socio-economic space for each of these languages is limited. Hence, it is important for students to get proficiency in L2, L3 and L4 but the scarcity of teachers who know L1 and other languages, and; who can also teach other subjects like mathematics, aggravates the challenges in schooling. 2.2 Is ‘residential schooling’ the answer? Another approach to the schooling of children belonging to the ST not only in Odisha but in other parts of India is the use of residential (ashram) schools. These may be government or private schools. The latter include those run by religious groups, non-governmental organisations and private trusts controlled by individuals. The idea behind this is to take the tribal children away from their surroundings and put them in what is considered a `conducive’ environment for learning and education. These residential schools may not provide schooling in the tribal languages and there are very few teachers from tribal communities in these schools. This approach is criticized not only for the STs but for indigenous people in general2 because it can erase the identity of the tribal children and impose a one-size-fits-all schooling by neglecting the cultural and social contexts of the tribal communities. The design of such schooling was based on the assumption that the social context of the tribal children is not conducive for their education but residential schooling can lead them to feel ashamed of their original identity. Since their own language is not taught there, it may create difficulties in schooling on the one hand and deny them the learning of their own language on the other. Being away from their families and communities can give rise to psychological problems, and many children are seen to face difficulties, including psychological trauma. They are left between two worlds, neither of which they can completely relate with. The quality of life in residential schools is generally not satisfactory. The limited resources provided by the government or the non-governmental organisations can lead to compromises. The prejudices of the non-tribal population may also have a bearing on how these schools are run3. Some of these prejudices are rooted in the not-so-liberal values of the mainstream society. For example, the patriarchal culture of the mainstream society may see the gender relationships in the tribal cultures, problematic. Despite this general picture of the residential schools, there are success stories and unintended positive benefits. There have been individuals who have managed these schools well and who have taken steps to provide culturally appropriate education to the tribal children. It has been internationally recognised that the residential schools have also led to the interaction among different groups of indigenous people, which may have enabled their political and social mobilisation. India has a long history of residential (ashram) schools for the education of the STs. Some of these ashrams have been successful in providing mainstream education to them. However, it has resulted in alienating these educated people from their communities. In general, it is ideal if the schooling is both grounded in their social and cultural context and in also enabling them to deal with the challenges of an increasingly integrated and fast-changing world. Residential schools or non-residential schooling which do not connect with the social realities of these children may not be able to achieve this. In that sense, bi-lingual education provided in the schools located in tribal villages is an important and progressive step in India but it is not adequate for a number of reasons mentioned earlier. There have been experiments, mostly carried out by non-governmental organisations, in developing education projects for the STs which are embedded in their social/community contexts. These experiments attempt to develop pedagogy and curriculum which are tailored to the needs of the community, like the use of maths in marketing goods; mapping skills for demarcating their lands, and; medical skills to treat diseases. These skills give the tribal children a culturally-appropriate start to their education and may enable them to use mainstream schooling later with a higher level of self-confidence. However, these remain isolated experiments and are yet to impact the schooling of the STs in general. It is in this context that we analyse the developments in the education of the indigenous people of Brazil in the following section. Nearly half of the indigenous population in Brazil was illiterate in the 1950s. The educational status, in general, was poor until the 1980s4. Though 90% of the children were enrolled in the primary grades by 1995, only a half of them completed grade VIII. Students on an average took 12 years to complete grade VIII due to the high rate of repetition of grades. Brazil started focussing on spreading schooling to all from the year 1995. By the year 2000, nearly 14% of the adult population was still illiterate. The resources spent on education went up from 4% of the GDP in 2000, and to 5.2% of the GDP in 2009. Successive governments have ensured that all parts of the country and all sections of the society have access to basic education. The Federal government provided additional resources to those municipalities and rural areas which do not have enough resources of their own to spend on schooling. There has been an improvement in the quality of schooling too, as evident from the fact that the average PISA (Program for International Student Assessment) scores in Brazil have improved in all subjects measured over the last ten years5. These improvements were possible through the conditional cash transfer (Bolsa Escola, started in 2001) to those parents who sent their children to school regularly. Though there are doubts about the impact of this transfer on school enrolment, it has enhanced the attendance of students. Moreover, it has brought many poor families out of subsistence levels and this may have enhanced their aspirations with regard to the education of their children. The political mobilisation of the working class and poorer sections of the society culminating in the election of the government of Luiz Ignacio Lula da Silva (Lula) has strengthened this trend. The contribution of the Federal government to education has gone up from BRL 314 million in 2006 to BRL 4.5 billion in 2009. The Lula government has augmented the Bolsa Escola program with cash transfers for other purposes, such as health and nutrition, and brought it under the Bolsa Familia program in 2004. It also has a component of stipend for children between 15 and 17 years, which has encouraged their attendance in high school. Nearly 11 million families have participated in this program which has enabled almost 40 million people to step out of poverty. The indigenous people constitute only about 0.4% of the Brazilian population6. There is also a very high degree of diversity among these people in terms of the languages spoken; demographic situation; ‘social organization; economics and politics; history; intensity and quality of inter-ethnic contacts with non-indigenous segments of the Brazilian population; the degree of information available about the Brazilian society and about their own rights as Brazilian citizens; commitment level in the indigenous movement and organization to face the Brazilian state; degree of political and economic autonomy as well as the quality and quantity of information about the world and the global economy’7. There are some indigenous groups whose contact with outsiders is not more than 30 years old whereas others have been in contact with the outside world for five centuries. It is estimated that around 180 languages are spoken by the indigenous people in Brazil. Some groups still survive on hunting and gathering, and limited agriculture within forested areas, but there are others who live in the urban peripheries and are integrated into global markets. The education of the indigenous people has a long history in Brazil. Authors like Candau & Russo (2010) identify four phases of the education of the indigenous people in Brazil8. The first phase of schooling started during the colonial period and was in practice until the initial decades of 20th century. The primary purpose of this schooling was to integrate the indigenous groups with the mainstream community. This phase is characterised by the ‘[…] explicit ethnical-centric violence of imposing the hegemonic culture on Indigenous populations’ (Candau & Russo, 2010: p. 155), i.e. the school was a means to eliminate the Indians, their culture, their language. The second phase – from the beginning of 20th century to the 1970s – was driven by the independent but a nationalist state. This was characterized by a desire to assimilate indigenous people culturally in order to create a homogeneous nation. The desire to create enough industrial workers was also behind this drive for education. Though there was some attention to the use of indigenous languages in education, it was seen as a way to make the transition to the mainstream education easier. Alternative models of schooling started to develop by the middle of the twentieth century mainly through the interventions of non-governmental professionals and organisations, and progressive elements in the church9 which used the languages spoken by indigenous groups as the medium of instruction, with space for their traditional knowledge (along with the knowledge of the mainstream society) and also a higher role for these people in the affairs of schooling10. There was also the participation of educated people from these groups in the preparation of the learning materials. The multiplication of these models and their experiences started influencing the ideas on the appropriate education for the indigenous people. By the 1980s, the socio-political movement of the indigenous people had started gaining prominence within the country and the indigenous people had begun articulating and asserting their rights. There are strong advocates of the political mobilisation of the working class and other marginalised social groups who see the benefits of education for the indigenous people11. The concern though is not whether the indigenous groups need education, rather the nature of the education that would be suitable for their social setting. An anthropologist, familiar with the indigenous education of Brazil notes, `The idea that there is not necessarily any incompatibility between the introduction of schooling among indigenous peoples and the preservation of their linguistic and cultural specificities became one of the most important tenets of the indigenous movement in the country, combined with the fight for recognition of their territorial rights and of their existence as Brazilian citizens of the present and the future’12. These changes are reflected in the new constitution adopted by Brazil in 1988, which granted full citizenship rights to the indigenous people `without losing their distinctive cultural and indigenous characteristics’ (Silva, 2015). The constitution noted that ‘regular elementary education shall be given in the Portuguese language; the Indian communities also being ensured the use of their native languages and specific learning procedures.’ With these, the indigenous communities started taking control of their schooling themselves. The elementary schools are controlled and managed by them. According to Rita Potyguara, who heads the program for indigenous education in Brazil and who too is an indigenous person, there is no dearth of the demand for schooling by the indigenous communities, currently. In 2015, there were more than twenty thousand teachers in indigenous schools and according to her, 90% of the teachers are from the indigenous groups. Even with this progress in indigenous education, there are many constraints. Many teachers in these schools are not well trained. According to one estimate in 2015, 46% of these teachers have graduate/university training whereas another 46 % have only secondary school education and about 6% may have completed only the primary level. Partly due to the lack of training, a majority of these teachers are employed on a contract basis13. This led the Ministry of Education to invite universities to train teachers from the indigenous communities14. A number of universities have come forward to design and implement special training programs in collaboration with the indigenous communities. The university professors were initially apprehensive but could later see the opportunities in this program15. Those who have attended these training programs, including both men and women of varying age groups, are either the leaders of the villagers or those selected by them16. There are two phases in these training programs. During the first phase, the students spend about two months at the university attending lectures. The theoretical subjects taught during this phase are followed by assessments. In the second phase, the students go to the indigenous villages for practice teaching. University professors visit to evaluate and mentor these trainees and carry out research and documentation to understand the specific contexts of these villages better. During the second half of this degree program, indigenous students specialise in one subject – social sciences and humanities; natural sciences; or arts and language. On the successful completion of the program, students get a degree in inter-cultural education. This program enables these teacher trainees to interpret school subjects in line with the students’ culture and knowledge. It focuses on the importance of bilingual education in the indigenous classrooms. The indigenous teachers are expected to teach in both Portuguese and the indigenous languages and while they are at the university, these teacher trainees work with the faculty to develop content and interpret it in their native languages. But the process of using the universities for this purpose has not been without its share of ups and downs. There have been apprehensions about the lack of exposure of the university professors to the life and the social milieus of the indigenous people, which can affect the quality of the teacher training programs17. There is also criticism of the kind of inter-cultural education that is provided to the indigenous groups. The main concern seems to be that it does not equip the indigenous students to handle their daily (or real) life in a sustainable manner and may be imparting the aspirations and ideas of the mainstream society, leading to unsustainable use of resources18. Though the spirit of the inter-cultural education is for different social groups to know each other, the education for the mainstream society is not inter-cultural19. This may be sustaining the prejudices of the mainstream society regarding the culture and practices of the indigenous people. Also, not all issues related to the education of the indigenous people have been adequately addressed in Brazil. The majority of teachers in the indigenous schools continue to be on short-term contract, which creates a feeling of instability among them. Some families are not happy with the quality of schooling in their areas. The enrolment in high school (after nine years of elementary education) continues to be a matter of concern. Some villages and small towns do not have a high school because the state governments do not have enough resources to set up high schools in every village and small town. If students have to commute to other towns, the issues of access and cost come into the picture20. Inadequate investments in high schools is an issue even the policy-makers are concerned about21. Children who have been educated in bi-lingual and inter-cultural education find it difficult to cope with the mainstream high school curriculum that has no place for these22. The students from indigenous groups are also vulnerable to discrimination by teachers in mainstream schools23. There are instances of the indigenous people migrating or sending their children to bigger cities for better-quality education but activists from the indigenous groups see this exodus as the exclusion of these children from family and community life which weakens their ties of identity. These children run the risk of ethnic discrimination in cities and in schools with other children24. For those who complete elementary school or high school, the lack of access or the non-availability of higher education facilities which provide inter-cultural (including bi-lingual) education is a serious constraint25. They believe that mainstream university education is incapable of integrating students from the indigenous communities26. The other reasons which may discourage these children from pursuing a higher level of schooling/education, in the case of girls are sexual relationships leading to unplanned pregnancies27 as these teenage mothers may not get adequate support28, though a few schools are flexible in accommodating their needs. As regards boys, some of them may be interested in or compelled by family circumstances to take up available employment immediately after elementary schooling29. There are certain localities where industrial jobs are available to students who complete elementary schooling. Given that parents are uneducated, they may not be in a position to persuade their children to pursue higher-schooling. There may not be enough role models in these communities who may have benefitted from higher education, and who can influence the aspirations of these boys and girls30. A number of students from indigenous groups who are in the University of Brasilia see this unwillingness to pursue higher education on the part of certain boys and girls as a reflection of the lack opportunities for educated people in their areas. Despite all these limitations, Brazil has ensured that almost all boys and girls of the indigenous population get a certain level of elementary education. This is also an outcome of the political process that Brazil has witnessed during the last two decades by which not only the indigenous people but also other marginalised sections of the society have acquired greater voice and ability to influence public policies31. There is an apprehension among sections of people there that the resources available and investments made for the education of such social groups may decline as part of the current political situation (or transition) within the country32. However, according to the officials of the Ministry of Education and Culture, the country has made appropriate constitutional and regulatory changes and hence the focus on education of these social groups is likely to continue in future irrespective of the nature of the political regime that comes to power. The low demand for (and hence under-achievements in) schooling among the STs in India could be due to the slow pace of their social and political mobilisation in certain parts of India. It appears that wherever the tribal population is politically in control for a fairly extended period of time, there have been improvements in their educational status. For example, one can see this in the state of Mizoram. On the other hand, the tribal population in the other parts in India (say, Odisha) have not undergone such a trajectory of education development. They are yet to get or take control of their education. Either due to their minority status or other reasons, their political mobilisation is not strong in these parts of India. Such mobilisation of the tribal population is recent even in Kerala that has seen a long tradition of socio-political movements among almost all the other social groups. When the STs are mobilised by the mainstream political parties, there may not be enough attention to the issues specific to them. Though Maoists and Naxalites are active in the areas where these people live, it is not clear whether it has empowered these people and focussed on an appropriate education for them. In summary, we observe broadly two educational scenarios for the tribal population in India. One is of those settled in North-Eastern states where they are in majority and this has enabled them to wield certain rights of self-administration. The educational status of STs in these states is also relatively better. The other scenario is of the tribal population in the other parts of India, where they are relatively spread out and hence they do not exercise much political clout. However, the electoral importance of the tribal/indigenous people may not be an adequate explanation for a comparison of their position in Brazil and India, since they constitute a very small share of the population in the former. The international attention (due to the long period of exploitation and decimation of indigenous people) and the actions of sections of the middle-class as part of a general political democratization may have enabled greater attention towards the education of these people in Brazil. Amarendra Das is an assistant professor at National Institute for Science Education and Research (NISER), Bhubaneswar. Candau, V. M. F., & Russo, K. 2010. Interculturality and Education in Latin America: A Plural, Original and Complex Construction. DiálogoEducaciona. Mohanty, P.K. 2000. Development of Schedule Castes and Schedule Tribes in Independence India: Leads and Lags. Journal of Rural Development. NIRD Vol.19, No.4. Panda, Minati and Ajit Mohanty. 2009. MLE plus: Culture to classroom. Mohanty, Ajit, Minati Panda, Robert Phillipson and ToveSkutnabb-Kangas (eds. ), Multilingual education for social justice: Globalising the local. New Delhi: Orient Blackswan.